Several analysts downplayed concerns about Apple’s iPhone X production issues and were bullish on demand and sales, pushing the company's shares to a record on Monday. The Cupertino-based company does not provide pre-order figures on iPhones, leaving investors and analysts in the dark in trying to track output through research with its suppliers, consumer surveys and other industry indicators. But positive commentary from analysts on Monday signalled strong demand for the pricey device with pre-orders starting this past Friday. Apple is scheduled to report quarterly results this Thursday. The company provides sales figures in its results. Since the launch of new iPhones on 12 September, the stock had fallen 2.5 per cent until last Thursday's close. They rebounded on Friday after Apple said pre-orders for the 10th anniversary phone were "off the charts". The stock climbed to US$168.07 earlier in the session, adding nearly US$26 billion to its market cap and inching it closer to becoming the first company with a trillion dollar valuation. Shares pared gains and were up 1.9 per cent at US$166.15 mid-day. Daniel Ives, a well-known sector analyst, raised his forecast on Monday for pre-orders by 10 million, and several other analysts talked up sales over the next year. In a note, Ives of research house GBH Insights, raised his pre-order demand expectations for the iPhone X to 50 million units from 40 million, calling the first stage of the iPhone X release a "stellar success". "With the official launch of iPhone X in Apple retail stores slated for this Friday, 3 November, we anticipate very high demand globally with limited supply of iPhone X on hand," Ives said. Jeffrey Kvaal from brokerage Nomura Instinet, said Apple and US wireless carriers' pushing out of delivery times for iPhone X orders to 5-6 weeks was longer than for previous phones and pointed to strong demand. Asked by Reuters whether production bottlenecks are causing shipment delays, Tigress Financial Partners analyst Ivan Feinseth responded: "No, there's no bottlenecks. This is a company that manages the supply chain well." 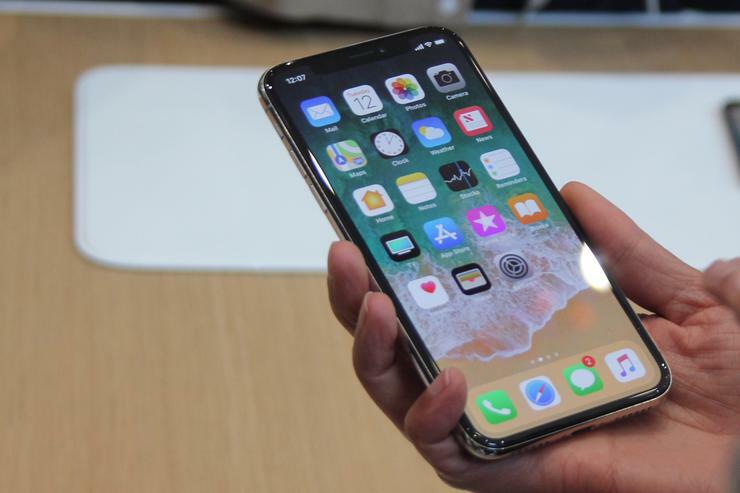 However, Drexel Hamilton analyst Brian White, cautioned that the longer wait times for consumers ordering phones may be as much due to the component supply issues, which led Apple to delay the launch of the premium phone until November. "Although we believe Apple is benefiting from strong demand from the iPhone X, the company is also struggling with supply constraints," White, who has a buy rating on Apple, said. "A sound debate around the key driver for the surging shipping lead times can be made by reasonable people. Thus we believe it was important for Apple to highlight the demand side of the equation for the iPhone X." Wall Street is bullish on Apple with 31 of 38 brokerages rating the stock "buy" or higher. Their median price target of US$180 projects a market cap of nearly US$930 billion for the iPhone maker.